Once Upon a Time Sneak Peeks: Season 5 Episode 4 "The Broken Kingdom"
On Sunday's all-new episode of Once Upon a Time season 5, episode 4, "The Broken Kingdom," after receiving a cryptic warning from Lancelot about Arthur’s intentions, Mary Margaret (Ginnifer Goodwin) realizes Arthur may be the heroes’ biggest threat, but when she is unable to convince David (Josh Dallas) of the danger, she takes matters into her own hands. Meanwhile, Hook’s (Colin O'Donoghue) unwavering love for Emma (Jennifer Morrison) provides a glimmer of hope in her struggle against the unrelenting voice of Rumplestiltskin (Robert Carlyle). In the following Once Upon a Time sneak peek, Emma hears a voice and Rumple guides her towards it. The voice leads them to Regina's room: it's Emma's dagger calling to her. Watch this sneak preview of episode 4 and tune in SUNDAY OCT 18 8|7c. Meanwhile in the episode, in a Camelot flashback, Guinevere senses that Arthur is losing his way, consumed by his obsession with making Excalibur whole, so she sets out with Lancelot on her own quest into the heart of darkness. 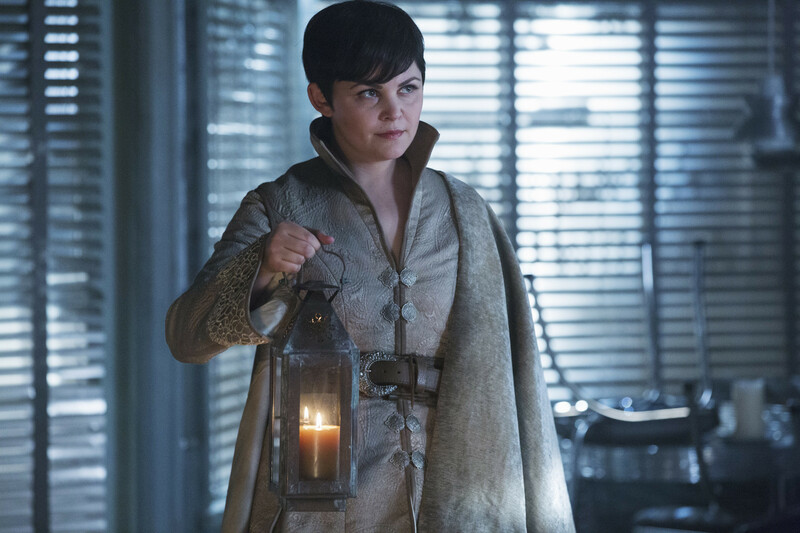 In Storybrooke, Dark Emma unleashes a secret weapon in the next phase of her plan to find the brave soul she needs to draw Excalibur from the stone. Need to catch up on last week's episode? 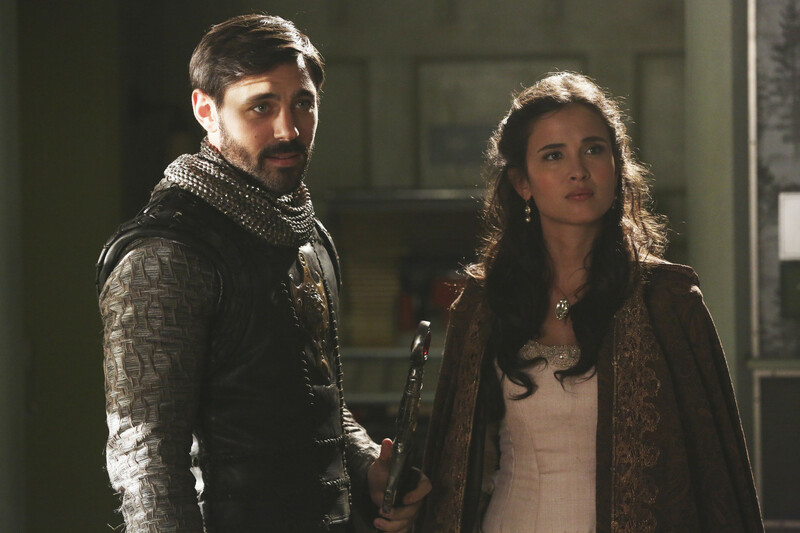 Read the "Siege Perilous" recap here!